You want to enjoy all the holiday season has to offer around the Phoenix Valley, but you’re not sure which events and activities you can bring the whole family to—including your four-legged companion! Well, at East Valley Animal Hospital (serving Gilbert, Chandler, and Mesa), we’ve got you covered. Here are a few dog-friendly holiday events in Phoenix you won’t want to miss. Claiming to be the world’s largest animated holiday light show, this 25-minute, magical drive-thru experience is bound to give your whole family a little holiday cheer. If you visit the North Phoenix location, enjoy free parking and admission to the Holiday Boulevard Marketplace. While there you can shop, play, eat, and drink while your pup tags along! This event can be busy, so make sure if you bring your fluffy friend that he is well behaved and can handle the crowds and young children. It’s not the holiday without a parade, right? Bring the entire family, including Fido, to watch this floating parade, as 50+ festive boats covered in lights meander down Tempe Town Lake. Live entertainment starts at 4 PM, with the boat show starting at 7 PM. Come early and enjoy some holiday shopping at the Holiday Market and a snack from local food trucks. This award-winning, holiday light show has become a family tradition for many. If you don’t live in Glendale, it is definitely worth the drive. Stroll down the streets of historic Glendale along with Fido, and take in the 1.6 million LED lights that span 16 impressive blocks. Lights can be enjoyed nightly with special holiday entertainment on the weekends! 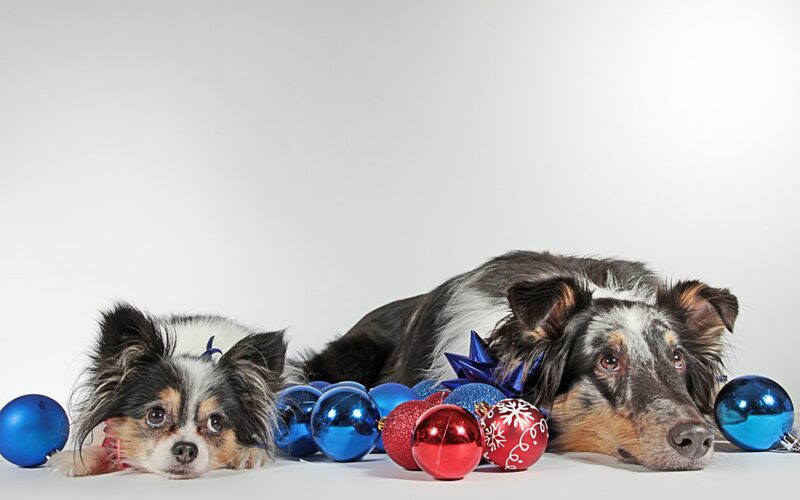 With these dog-friendly holiday events in Phoenix, there’s no reason for Fido to stay home while the family goes out. And as your local vets in Gilbert, Chandler, and Mesa, we’re here when your furry friend needs compassionate pet health care. See our website for our comprehensive list of services. And we wish you and your pet the Happiest of Holidays!